The San Antonio Junior Forum aids in our mission. 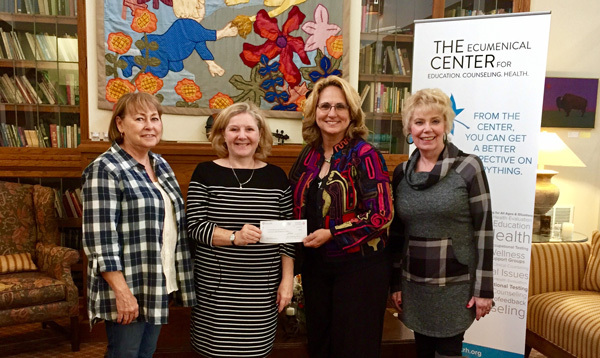 In September, The Ecumenical Center received a grant from the San Antonio Junior Forum for use in our Expressive Therapeutic Arts Program. With this generous grant, we were able to provide music and art supplies for use in the Open Studio Visual Art Sessions, Music Therapy, and Therapeutic Rhythm Making Sessions. We at The Center are very proud to receive this grant, and are very thankful for the San Antonio Junior Forum’s recognition of the excellence that occurs at The Center. If you’re interested in learning more about the Expressive Therapeutic Arts Program, you can visit here, call 210.616.0885, or email lcenanovic@ecrh.org. Share the post "A Grant from the San Antonio Junior Forum"